In my previous articles, I took a look at how high-profile jobs, such as athletes and movie directors, get lots of performance feedback from lots of sources. Then I looked at entry level jobs, and showed how these roles receive tons of performance feedback as well (at least this is the case in high performing organizations). These highly divergent jobs receive tons of performance feedback. Not only do these highly divergent jobs receive a lot of feedback, the quality of the feedback tends to be high, in that the performance feedback is specific and immediate, and allows the person to adjust quickly what they are doing to get better. OK, so now let’s look at managers. 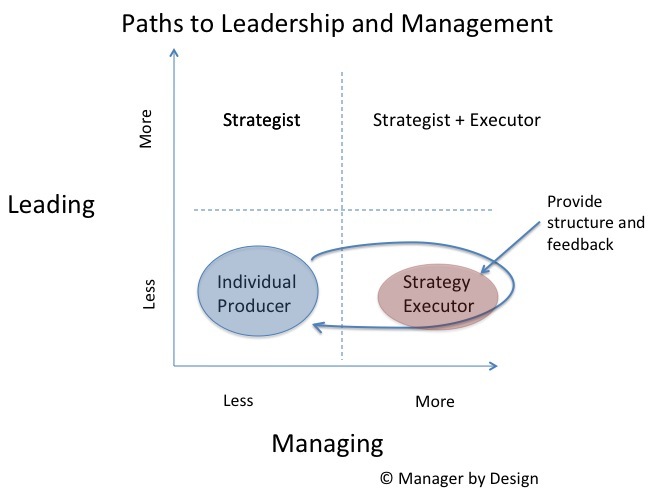 The manager’s job is to manage, hence the name “manager.” So surely managers get lots of feedback, right? No. 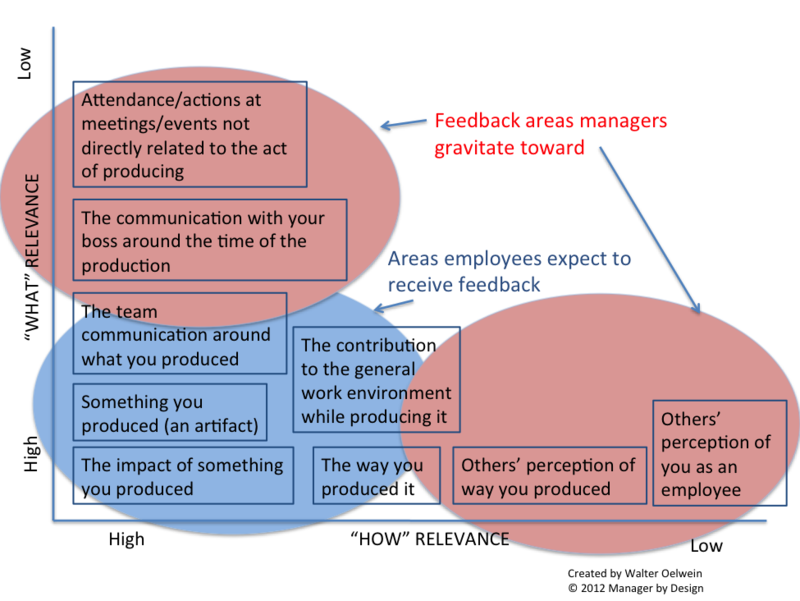 In previous articles, I’ve discussed general sources of feedback that managers receive and how incomplete they are. Sources such as 360 degree feedback programs, employee surveys, attrition rates, they tend to be faulty as sources of performance feedback. 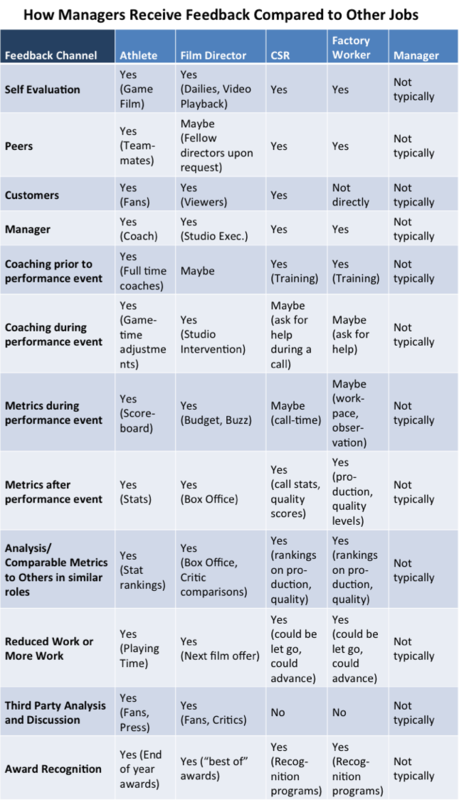 To underscore this point, let’s compare where managers receive feedback on their job as managers to both high-profile public roles (athletes and movie directors) and entry-level positions (customer service representatives and factory workers). For the athletes and the movie directors, there is a surplus of performance feedback, some of it sought out, and some of it unsolicited. In fact, entire third party industries have been created to develop and publish statistics and analysis of the statistics for the high profile jobs, and athletes and movie directors have a hard time avoiding this kind of information. The Manager by Designsm blog seeks to start a new field, “Management Design,” that takes seriously how to create great managers. In order to be great at anything, you have to receive a lot of useful performance feedback. It has to be timely and specific. It has to be actionable. It has to be ongoing. In my previous article, I looked at high-profile careers – athletes and movie directors – and identified the way they receive performance feedback. Note: The lower quality customer service organizations do not necessarily have these robust structures, which may explain the lower quality and frustration many people often have with customer service.